Newsroom > Press Releases > eHealth CEO Gary Lauer challenges governors: If Uncle Sam Offers Cost-Free Enrollment Using Private Online Health Care Marketplaces, Then Why Not the States? eHealth CEO Gary Lauer challenges governors: If Uncle Sam Offers Cost-Free Enrollment Using Private Online Health Care Marketplaces, Then Why Not the States? If Uncle Sam Offers Cost-Free Enrollment Using Private Online Health Care Marketplaces, Then Why Not the States? Mountain View, CA – May 14, 2013 – Gary Lauer, Chairman and Chief Executive Officer of eHealth, Inc. (NASDAQ: EHTH), the first and largest national private online health insurance exchange, during a national telephonic press conference today, challenged governors in the 16 states plus the District of Columbia that are planning to create their own online healthcare marketplaces to adopt a cost-free enrollment strategy. In his personal letter to each governor, he asked for support from the state online marketplace to sign the agreement authorized by the March 2012 federal regulation last year, allowing eHealth to enroll tax-benefit eligible people in health insurance. Lauer during the press conference stated, “If it's good enough for Uncle Sam to announce it intends to work with private sector online marketplaces, at a time of budget sequestration and other fiscal pressures, why wouldn't cash-strapped states do the same? Lauer offered to help with pre-enrollment services without cost to those states that won’t be ready by the October 1st deadline, so they don't delay the goal of getting to 100% enrollment. eHealth has operated a national online health insurance marketplace for the last 15 years. Since its founding, more than 3 million individuals have enrolled in affordable health insurance plans through eHealth. About 40 percent of eHealth’s customers were previously uninsured before coming to the website. 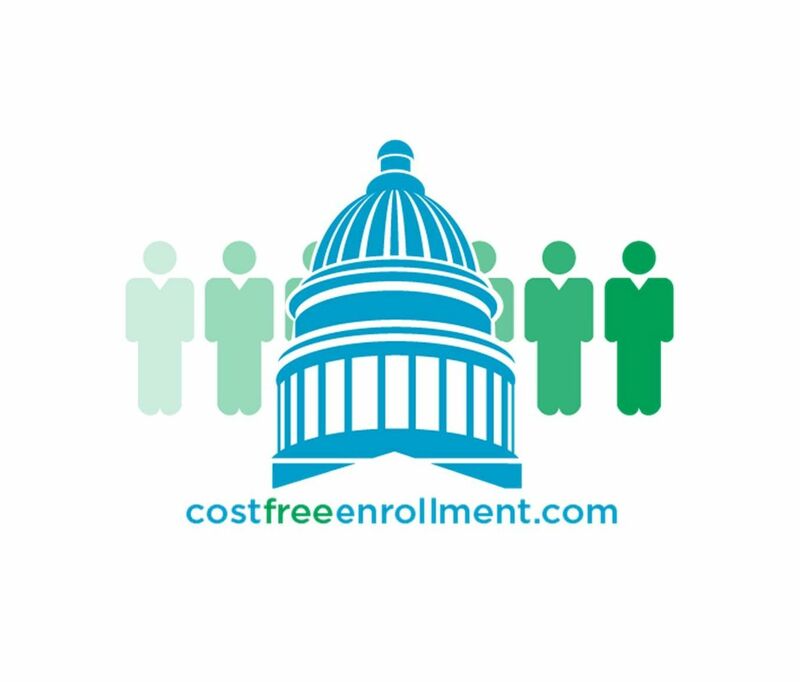 Additional information about this cost-free enrollment strategy as well as the following attachments can be found at www.costfreeenrollment.com. eHealth, Inc. (NASDAQ: EHTH) is the parent company of eHealthInsurance, America's first and largest private health insurance exchange where individuals, families and small businesses can compare health insurance products from leading insurers side by side and purchase and enroll in coverage online. eHealthInsurance offers thousands of individual, family and small business health plans underwritten by more than 180 of the nation's leading health insurance companies. eHealthInsurance is licensed to sell health insurance in all 50 states and the District of Columbia. eHealth, Inc. also provides powerful online and pharmacy-based tools to help seniors navigate Medicare health insurance options, choose the right plan and enroll in select plans online through its wholly-owned subsidiary, PlanPrescriber.com (www.planprescriber.com) and through its Medicare website www.eHealthMedicare.com. For more health insurance news and information, visit the eHealthMedicare’s consumer blog: blog.eHealthMedicare.com. This press release, along with the correspondence with governors and article that may accompany this release, contain statements that are forward-looking statements as defined within the Private Securities Litigation Reform Act of 1995. These include statements regarding future events and performance, including statements relating to the implementation of health care reform, our ability to expand enrollment of individuals in health insurance and the cost thereof, the government working with private sector online marketplaces, our ability to offer states pre-enrollment services, our ability to manage the interface between our website and states’ websites and the timing and cost of such integration, the payment of costs associated with enrollment processes by insurance companies, the speed, ease and cost of consumer use of commercial websites to enroll in health plans, the ability of our and other commercial websites to qualify under existing regulations allowing private-sector websites to help enroll consumers, and the effectiveness of government navigators in helping consumers to enroll in health insurance. These forward-looking statements are inherently subject to various risks and uncertainties that could cause actual results to differ materially from the statements made, including our receiving permission and satisfying regulatory requirements and other conditions to be able to assist enrolling individuals into health insurance through government exchanges, our ability to enter into an agreement with the federal and state governments to enroll such individuals, the manner in which the exchanges require us to integrate with them, health insurance company reaction to agents enrolling individuals through exchanges and other risks and uncertainties described in eHealth’s most recent Quarterly Report on Form 10-Q or Annual Report on Form 10-K filed with the Securities and Exchange Commission and available on the investor relations page of eHealth’s website at http://www.ehealthinsurance.com and on the Securities and Exchange Commission’s website at www.sec.gov. eHealth does not undertake any obligation to update any forward looking statement to conform the statement to actual results or changes in expectations.